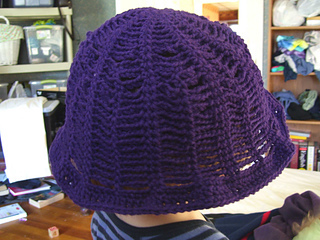 The spiderweb hat is a unique design that uses chains to create the desired effect. It is very easy to make and uses very little yarn. A perfect stash buster! It is fun but still looks quite fashionable, and kids love it! 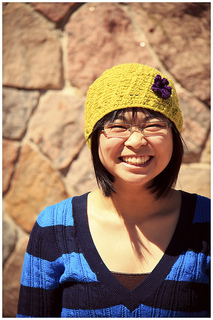 Made out of a soft cotton, it’s a great fall or spring hat. The two hooks are for the two sizes. You don’t need both!